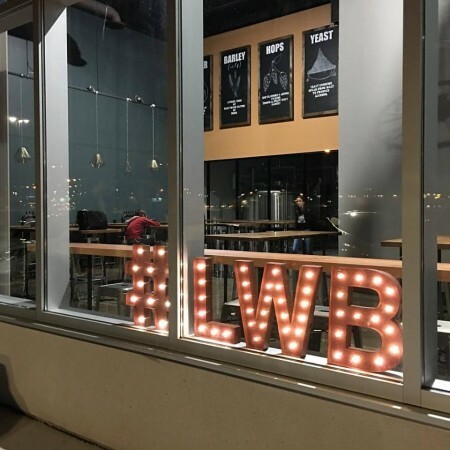 VAUGHAN, ON – Lake Wilcox Brewing has announced that its brewery and retail store is now open in the city of Vaughan, just north of Toronto in Ontario’s York Region. Founded by David De Ciantis and Ray Nicolini – residents of nearby Richmond Hill – Lake Wilcox was launched in 2015 as a virtual brewery, producing its flagship Mad Quacker Amber Lager under contract while the partners searched for a physical location. The Vaughan facility was subsequently announced in January, and opened to the public late last week. Situated at 1033 Edgeley Blvd. near the Vaughan Mills Shopping Centre, the facility includes a brewery, taproom and retail shop, offering glasses and cans of four core brands – Mad Quacker, Lake House Craft Lager, Bandit American Pale Ale, and Black Hops Belgian Black IPA – along with rotating one-offs and seasonals and tap and in 650 ml bomber bottles. Growlers will also be available starting later this week. Lake Wilcox Brewing is open daily from 10:00 AM (with taproom service starting at 11:00 AM), closing at 9:00 PM on Thursday and Friday, and 5:00 PM all other days. For more details, see the brewery’s website and Facebook page.